Dipsy Selolwane is a legend in Botswana football having played for the national side for 14 years and had a successful club career in South Africa, the USA and Denmark. He played in six COSAFA Castle Cup tournaments between 1999 and 2007, and featured in some of Botswana’s biggest wins. 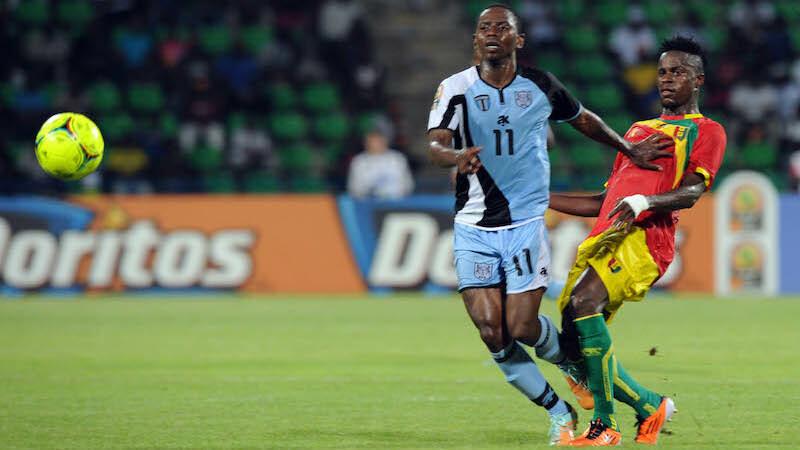 He also helped the country qualify for the 2012 African Nations Cup, which proved his swansong with the side. I first played for the national team in 1998, though I was still a young boy just trying to make my name. But in 1999 I finally got my chance in the COSAFA Castle Cup against Bafana Bafana, it was a huge, huge thing for us as a country. If you look at that South African squad at the time, Brian Baloyi, John Moeti, Pollen Ndlanya, Matthew Booth, Aaron Mokoena, that’s how big the tournament was. We lost 2-1 but it was a great occasion for me. [Laughs] My legacy was solidified on that day, even though I was still a young boy. To score against Spiderman [Baloyi] was memorable. I remember it was a corner-kick, the ball was half-cleared, it came to me, I controlled it. Booth and [Fabian] McCarthy came to close me down and, I don’t know, I just tried this crazy move. What for you is the importance of the COSAFA Castle Cup? If you look at it … for most sides you play in the [African Nations Cup and World Cup] qualifiers and it is usually against somebody who is a bit stronger than you. So if you lose in the first round you are out and there are no more games to play for nine months or a year. So with COSAFA coming in, it was an opportunity to get experience at international level. The day-to-day build-up and the preparations were the same as a World Cup qualifier, so it was a great opportunity to get experience. But as you see now we have to try and have a good blend and a good mix. I think it is a trend across Africa now that you will find a 25-year-old getting a first cap with the national team. But you should be getting that international experience when you are still a teenager and the COSAFA Castle Cup gives that, an opportunity to almost blend two generations of players. There is a lot of exposure for players from COSAFA, even more so these days with the social media platforms that we have which allow fans to communicate so much easier and they are talking about the tournament. The whole complexion of the exposure has changed from my time. When I made my profile I used to go to go and look for newspaper cuttings. I would use those as my references and fax them off to whoever I wanted to see them. Now it is live, online and in real time. It is exciting times for any young footballers, they should take the opportunity the COSAFA Castle Cup gives to make a name very seriously. Do you feel like Southern African football is moving in the right direction? Our football is moving in the right direction, but for me not at the pace that it could be. We are getting there, if we look at club football then teams from the region are starting to make an impact. We have nine sides from Southern Africa in the expanded group stages of the Champions League and Confederation Cup this year. North Africa is not quite dominating as it used to. West Africa was dominant in the 1970s and 80s, but they are not any more. Southern Africa is probably the region that has taken advantage of that. It shows there are good signs of progress. Zambia won Afcon [in 2012]. Mamelodi Sundowns won the Champions League last year, Orlando Pirates lost in the final [in 2013] and that is progress. But I always want more!